While stretch marks are just a daily hassle for some women, there are ways to reduce their appearance with the use of exercise. Rather than resorting to expensive and risky cosmetic procedures, simply try the following quick and relatively painless workouts which will have your skin looking brand new in no time. This exercise works the chest and core muscles by tightening up the skin – especially if you already suffer from stretch marks on your cleavage. Start in a pushup position with your arms bended and hands flat on the ground, then push off to one side and extend your arm upwards. Twist your torso and this way your ankles will develop into a line in the centre. Repeat this step on both sides of your body. Targeted to the bottom half of your body, leg circles are the best way to tone your leg muscles and also smooth out any lines or stretch marks. Use an exercise ball for extra stability, or just kneel on the floor with one side of body leaning against the wall. Keep one knee bent, but extend the other leg outwards and make circular movements. For best results you should do 10 circles clockwise and 10 circles anti-clockwise for each leg. Do you have any irritating stretch marks on your bottom that just won’t go away? Say goodbye to those pesky marks on your skin by performing a leg pelvic thrust. Lie down with both of your knees bent at a 90º angle, then slowly push your right leg off of the floor. This should leave your hips flexed outwards and your arms down flat by your side. Extend your right leg upwards (or as high as you can), before switching to the other side. Keep stretch marks away by taking part in consistent strength training exercises. Not only will this tone the entire body, but it will easily reduce the appearance of existing stretch marks as you train. It is always best to start off slowly and then build your endurance, since weight training can sometimes cause stretch marks from appearing due to over-working the body. You’ve probably heard all about CrossFit and how it is transforming the way people choose to workout. CrossFit first originated as a conditioning program found in many police academies and military special operations throughout the world. Rather than providing the same cookie-cut workout every week, the program is broad and delivers a number of fitness solutions which work the entire body. CrossFit combines a number of workouts which help the strengthen the entire body and work the core muscles. Although this workout was originally about combat and survival, many people have used CrossFit as an effective way to work every muscle in their body. 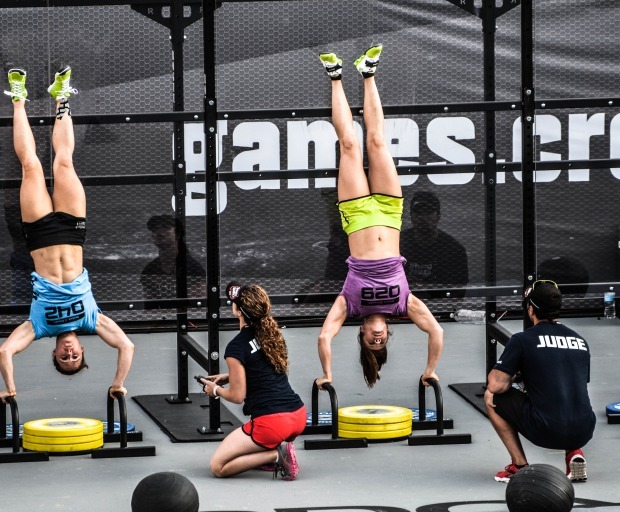 You don’t have to be in spectacular shape to take part in CrossFit – that is half of the fun! There are many beginners classes which teach the foundation of CrossFit to a broader audience. Mostly, these classes work at a lower intensity and set the tone of what is later expected if people progress. Rather than having different workouts for different people, there is only one workout per-day which is given based on your skill. As your body gets stronger, the higher you will move up in the classes. Rather than working out on your own, CrossFit provides a supportive network of people who love nothing more than to encourage each other along the way. If you find it difficult to commit to a set workout routine, CrossFit would be just the right fit for you. 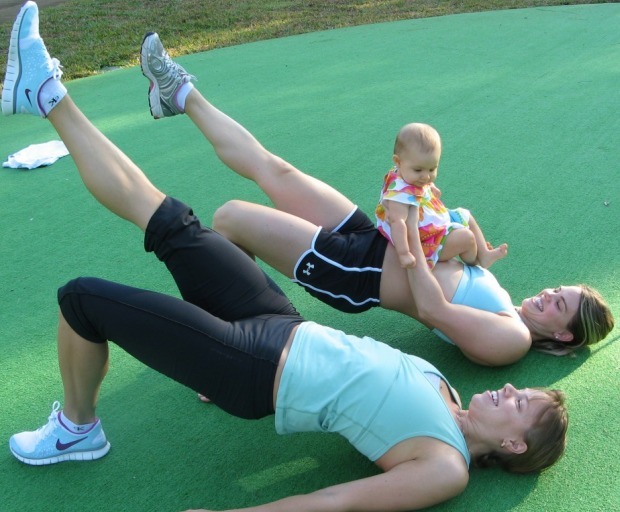 Members truly act as an extended family, and workouts aren’t merely confined to just the gym. Is previous weight training essential? No. CrossFit incorporates a number of different workout techniques, one of which includes basic weight training. The qualified instructors take you along step-by-step even if you have never lifted in your life! There really are no prerequisites about CrossFit since everything is basically re-taught on site. Everyone loves a bit of healthy competition, right? CrossFit generally praises people who finish their set workouts in a short amount of time. So you can expect to understand the type of environment CrossFit creates for both it’s instructors and students. The beyond motivating atmosphere will generally be a good thing if you ever need an extra push whilst working out. Beginner classes usually start off with a general overview of the workout, which is then followed by basic weight training. Then they are taught about the nine foundational movements of CrossFit, and how to get the most out of your future workout. The cost of CrossFit classes can vary depending on where you go, but they are typically valued between $10-$20 for each session. Would you ever try a CrossFit class?